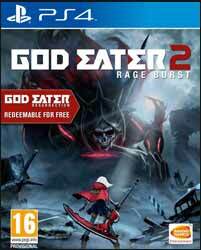 God Eater 2: Rage Burst is a Japanese, anime inspired, RPG, which was originally released on the Vita, but here has been rejigged for the PS4. The game was originally released a couple of years age in Japan, but has now been released for an English speaking audience. 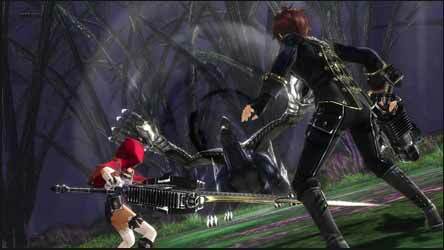 Set a number of years after the first game, GE2 presents you with a character which has been newly chosen to join the Blood Special Forces Unit, with the mission of hunting down and killing Aragami, monstrous creatures. You play the game in third person perspectives. The blood rains have arrived, which means another end of the world scenario, but then this series was always about surviving the apocalypse. Still, your base sports a pleasant garden. You’ll have to visit that first to meet Julius. It’s at this point, staring at the quality of the picture, that you do wonder if this game should have stayed on the Vita. Certainly the graphics would have looked more at home there. 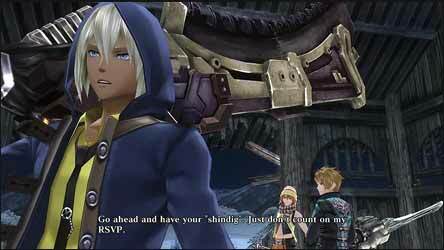 During the talking phase of the game the characters will converse with you, and you are offered a number of possible responses. So far I have not detected that your choice of response has a dramatic effect on the game. After a quick tour of your bijou base of operations it’s down to the reception to pick up a mission or if it’s a new game, you’re off on basic training. Even in basic training you can see that collision detection is very poor, rather than gauge the distance between yourself and an opponent you can walk right through them or even stand in the middle of them without any real problems. 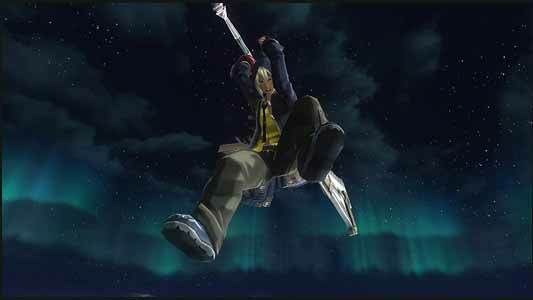 If you can put up with this then you’re on the way to battling monsters with your humongous large weapon. The missions come quickly and are punctuated by anime cut scenes. One of the things which are most noticeable is that the arenas in which you fight are small. There are two types of missions, Story and Free, you can also choose the difficulty of your mission and who is on your team. As the game progresses more members become available, but at the beginning you have just the three to play with, all of which have weapons which can be ranged and melee attacks. The range attacks also have to take into consideration what form of element infused bullets you want to deploy. Sure you can just go in and bash the pogies out of the opposition and in the beginning this works well as the game gently introduces you to both the story and the game play, but to get the most out of the combat you will need to learn to evade and use your shield to limit damage. 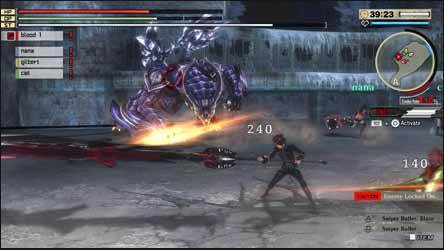 The game ‘God Eater’ takes its name for your ability to actually devour the monsters, harvesting them for raw materials. All this can be used in the vast power-ups and customisation. Once you get past some of the game's graphical limitations, probably from being essentially a port from the Vita and the weird lack of good collision detecting, then there is a good tactical RPG hiding away, but I can’t help but feel the game lends itself more to a handheld experience.